For the fourth consecutive year, Lexus is the proud recipient of the ‘Highest Overall Customer Satisfaction Among Service Provider Brands’ award from J.D. Power. As a Lexus Owner, you can feel confident in trusting your Lexus Dealer to ensure you receive the highest level of satisfaction. 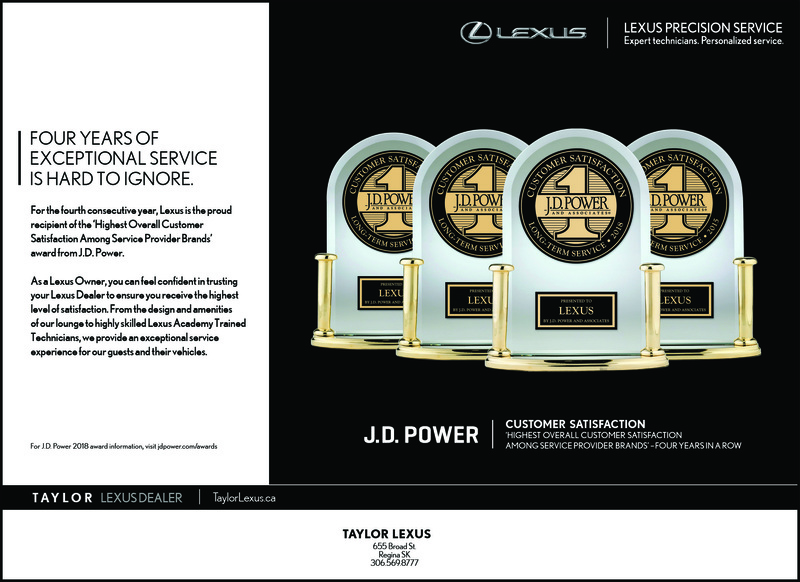 Stop into Taylor Lexus to see how "Satisfaction is Taylor Made" - in a brand new Lexus!